One account claims that the dish emerged as a simple meal solution for Indian soldiers in 1965. Another account claims that it is a dish containing 65 chilli peppers devised by an enterprising hotelier. The name is also claimed to relate to a requirement for the meat to be from 65-day-old chickens. 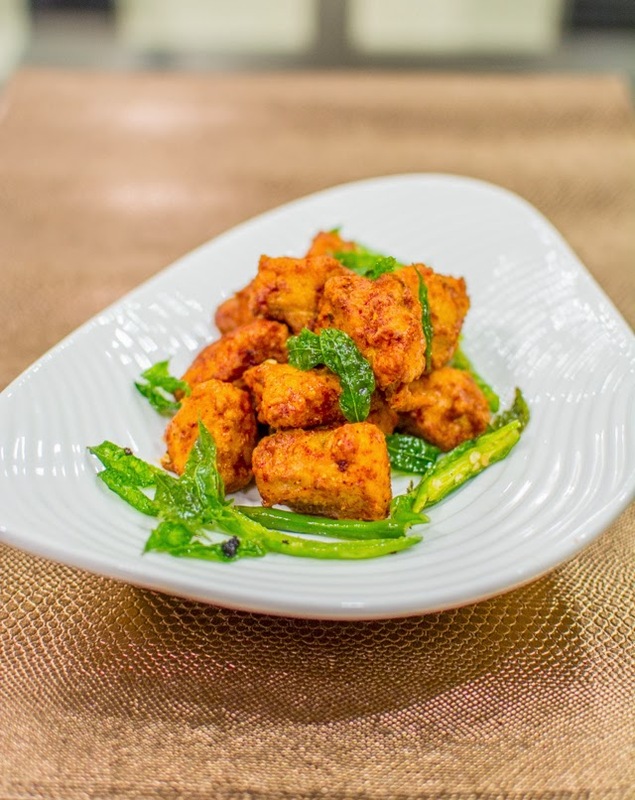 The dish is said to require 65 days to prepare the marinade, but this is unlikely for reasons of freshness and flavour. 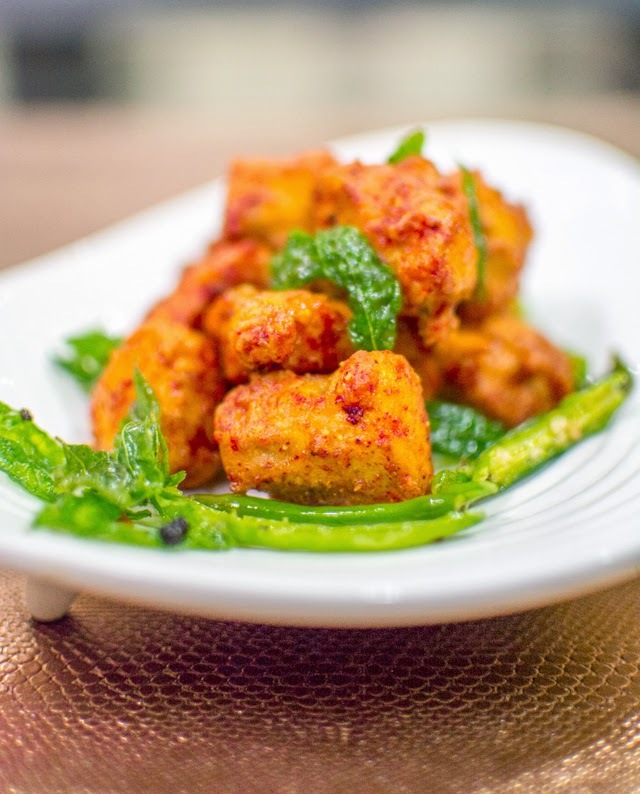 Whatever the origination, this is one fiery, cracker of a dish. Fried and spicy but worth the calories! 2. In a wok, heat oil for deep frying. Once the oil is ready, deep fry chicken till golden brown in color and nicely crisp. 4. In a separate pan, heat a tsp of oil and add the red chili powder to it. Transfer this in a bowl and add lemon juice. 4. Now toss the fried chicken in lemon and chilli. 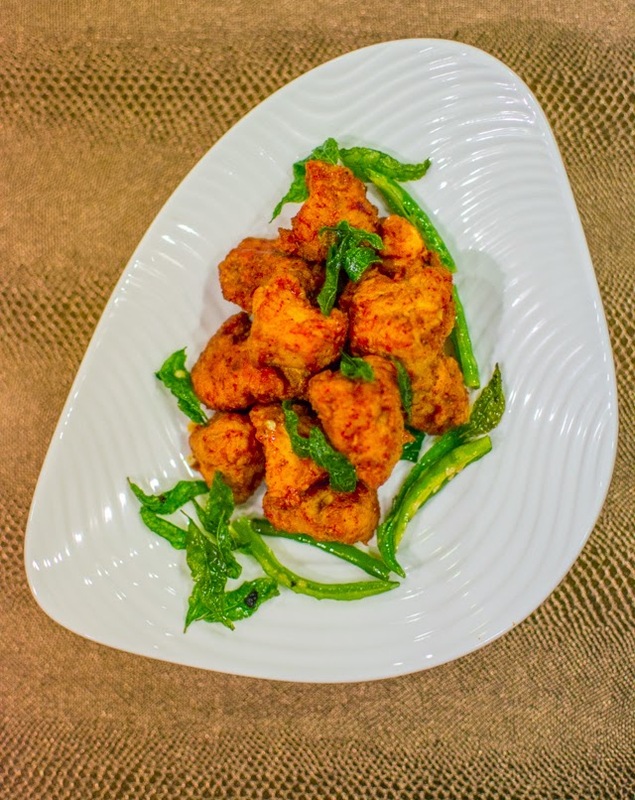 Garish chicken with fried green chillies and curry leaves and enjoy piping hot.